New year, new you! While it’s important to make changes in your life, it’s equally important to have constants in your life as well. We here at MIX/VHS will happily be that constant in your life. As we have done oh so many time before, we have gathered our team of media curators to sift through the 7 gigatonne mass that is the internet. So take a look and let MIX/VHS carry you through this Friday into the nirvana that is this weekend. Returning to work after such an exhausting holiday is hard, but we did it. Over the hump and on towards the weekend! Yes, now watch as this lady honey grooves and feel inspired to put on some tight pants and rule the world this weekend. This is one of my all time favorite portrayals of love from director Barry Jenkins. If you enjoy this I highly recommend checking out If Beele Street Could Talk, one of the most poignant portrayals of black love to ever come out of Hollywood. Drew Goddard's work has always been on the forefront of my watchlist, especially whenever anything new is created by him. 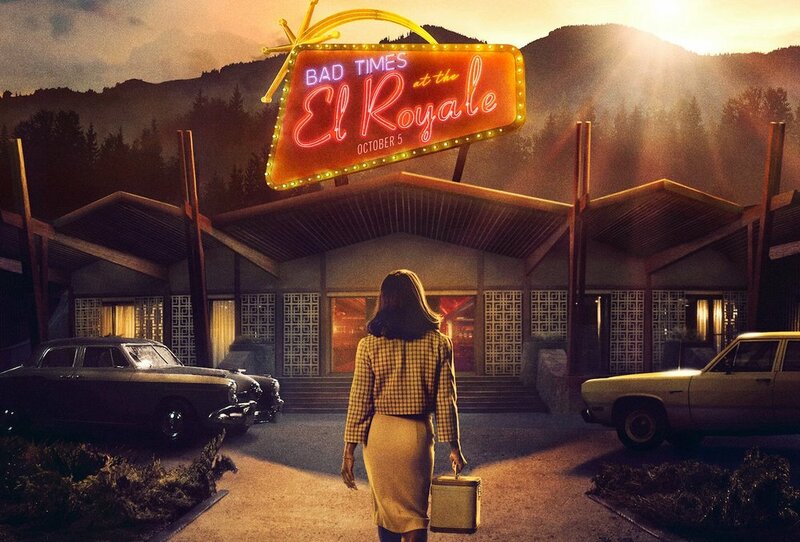 From Buffy to The Martian, to Cabin in the Woods, and more recently, Bad Times at the El Royale. His film is slick, fast, exciting, mysterious, and so perfectly crafted. It makes me yearn for more whodunnit and caper films, and definitely harkens back to old-school filmmaking with fun twists and turns around every corner. On the Silver Globe is one of the most perplexing films I’ve ever had the pleasure of seeing. Andrezj Żuławski’s cult classic follows a group of astronauts that crash land on a desolate planet and go about populating it. The story plays out over multiple time periods and jumps around to different points in time. Along with all of that, it’s also unfinished. Adrezj was kicked out of Communist Poland due to how this film was seen by the censors. Of course the show must go on, so Adrezj narrates what was supposed to happen during the missing segments while footage of Poland plays in the background. If you get a chance to see this film, do it. But remember this is a midnight movie through and through. Like this mix? Check out some of our past MIX/VHS recommendations below! CAST AND CREW CALL For Short Film "Fresa"